The Veteran Affairs Office has provided some common website links as Veteran Resources under their VA Health Care & Benefits Departments. This information is for informational purposes only and you will have to contact each department on your own. Women Veterans Health Care & Benefits Info. Are you currently a resident or were a resident of Gardena who served in the Armed Forces? Well, Thank You for your Service to our Country and as our way of thanking you, if you would permit us, we would like to honor you on our website - www.GardenaHonoredVeterans.org. 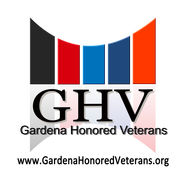 Please take a moment to see what we are doing and if you would honor us, one more time, we would like to add your to our list of Gardena Veterans to the site. If you have any questions or concerns, please email them at GardenaHonoredVeterans@hotmail.com.